Smucker's® Caramel Flavored Syrup is smooth and rich - just like a caramel candy. Try it mixed with our Sundae SyrupTM Butterscotch or Chocolate Flavored Syrup for an extra special treat. 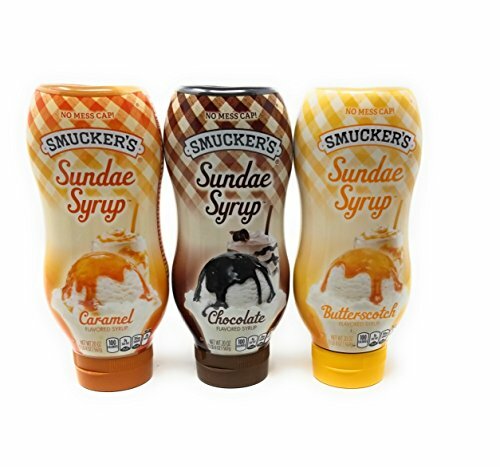 Adorn your ice cream with this silky-smooth Smucker's® Butterscotch Flavored Syrup. For extra fun, top with nuts, whipped cream, and a cherry.